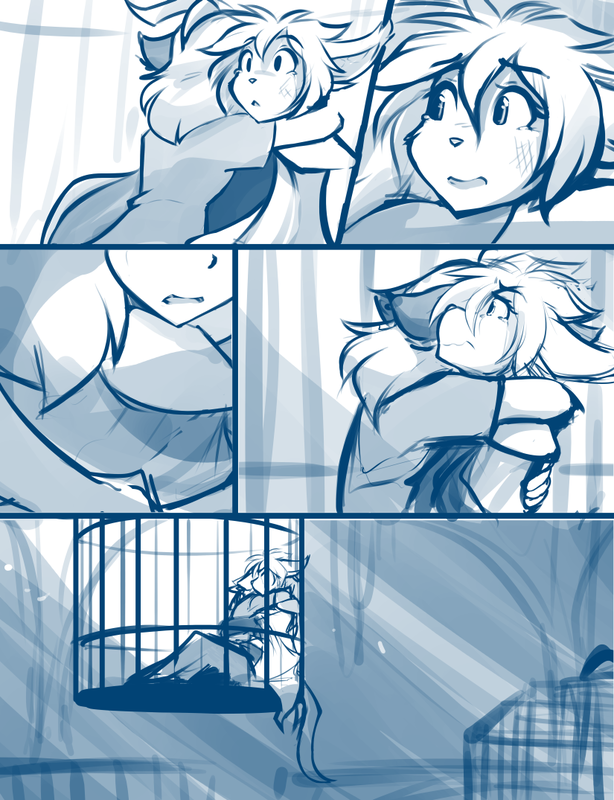 http://cdn.twokinds.keenspot.com/comics/20190309.png ( Sketch ) ( Twitter wallpaper ) Aww, phooey. Had my hopes up for a moment there. Possible edit note: in panel 5, 'in or around the walls' should probably rather be 'in or around these walls'. But, speech bubbles and line lengths and rah rah rah. Karen is two for two on very timely hugs. That's a good stat to have. So next page, Rose tries to kill Trace? And this is totally going to be one of those things where they juke it and it goes through a wall, isn't it?